The new CAL2 – Certified Agile Leadership II program will start in 2019. We just opened it for registrations. The program will start in February 2019. It will consist of individual leadership circle profile, series of coaching video calls, and individual assessment. You can find all the details about the program here. 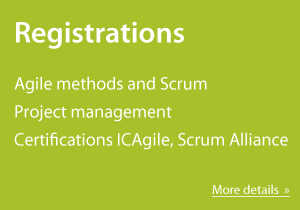 The program will be delivered as an online program, schedule and all details about conditions, execution can be found at Scrum Alliance website.